TUESDAY, MARCH 13, 2018 AT 7:00 P.M.
MCZ Development presentation of their proposal to redevelop the property at 957 W. Grace Street (southeast corner of Grace and Clark, JCYS Daycare). Followed by board member-only session. This entry was posted in ELVN News and tagged board elections on March 12, 2018 by elvn_updates. *Incumbents up for reelection are indicated by (I) after their names. Brandon Cunningham has lived on in East Lake View on Dakin for the last 3 years. He is an active member of his community, a registered CPS substitute teacher and volunteers at his 4 and 6-year-old daughters’ schools. He supports the conservancy site in Montrose Harbor documenting Purple Martins populations during the summer. He is the president of the Kelly Park Advisory Council. In his spare time, he goes to work as an airline captain. John Fitterer was born and raised in Chicago and lives in Lakeview in the 3700 block of Fremont with his wife Sandy. They have lived in Wrigleyville for 3 ½ years, moving in from the western suburbs where we raised our 3 kids (who are all Chicago north-siders now). John is retired for just under 2 years after having worked at ComEd for 35 years. His last position was director of the 550-person ComEd Call Center, where he balanced the needs of the business and employees (450 were union employees), while improving the service provided to its customers. Since retiring he has volunteered at Misericordia, and at the Field Museum where his wife and he work at youth discovery stations. He has been an ardent Cubs fan since growing up on Chicago’s southwest side and listening to Jack Brickhouse announce games on WGN after school. Terie Kata (I) has been active in ELVN since 1991, serving as Chair for five years and Treasurer for seven years. Terie and co-chair James Murphy raised ELVN fund-raising to new highs in attendance and profits at our annual Oktoberfests. Terie is an active member of numerous community and business organizations and chairs the ELVN fund-raising events. Maggie Koehler (I) has lived in East Lakeview since 2011 and works for the Lakeview East Chamber of Commerce. She also serves as an at-large member of the Lake View Citizens Council. Maggie, her wife Aimee Pine, and Boston Terrier rescue Stan love the diversity and close-knit community and exploring their neighborhood. Justin Kreindler has lived in East Lake View since 2004, as a homeowner since 2005, and as a landlord in 2014. He, his wife and two-year-old son live near Broadway and Waveland. Justin has worked with nonprofits to support communities through issue-based campaigns, political campaigns, and building community capacity. He works as Director of Partner Engagement with Public Allies Chicago. Justin serves on associate boards of Landmarks Illinois and Planned Parenthood Illinois Action. Chester Kropidlowski (I) has lived in East Lake View since 1991 and has been a board member for over ten years. In 1998, he retired from the City of Chicago after 32 years with the Chicago Department of Transportation as a City traffic engineer. His duties included dealing with Lake View traffic and parking issues and managing the night baseball Neighborhood Protection Program. Since retirement, Chester has worked as a traffic engineering consultant including consulting for both the City and the Cubs regarding the Wrigley Field program. Chester was Chair of the Transportation Committee for the 44th Ward Master Plan and was active in the development of the 46th Ward Master Plan. Chester and his significant other, Lenore, frequently enjoy the many restaurant and entertainment opportunities available in Lake View. Marty Malone has been a proud member of the East Lakeview community for over four years. He is the Director of External Affairs for Cook County’s 10th District, and prior to working in the government sector he worked for multiple technology startups in Chicago. Marty’s involved in multiple community organizations, including as an associate board member for the Chicago Coalition for the Homeless and an Obama Foundation community organizer. He is the proud owner of an original 1909 Burnham Plan of Chicago. Patrick Nagle (I) has lived in Lakeview for the past 17 years and has worked as an attorney for 19 years. Patrick currently serves as a federal Administrative Law Judge. He has been an ELVN member for the past several years and is a member of Alderman Cappleman’s Zoning Committee. His wife and he are raising two children in the neighborhood and he is invested in making this community an optimal place for people to live and work. Joshua Ring, a life-long Chicagoan, has lived in Lake View for 2 years. He, his wife and two teenage daughters live on Clifton just north of Wrigley Field and the Cubs offices. He works for The Gannett/USA Today Network downtown as an Integrated Director of Sales. He has served as President of his condominium association for the past two years and has been reelected to a third term. He is passionate about his home and neighborhood and looks forward to working with ELVN members to ensure that residents’ concerns are represented and addressed. Tom Rothschild (I) has called East Lakeview home for 19 of the 21 years he has lived in Chicago. Currently the Treasurer of his condo association, Tom has been active on the board of every building in which he has lived. His work with the condo board has led him to form relationships with the Aldermans’ offices. Jim Spencer (I) has served on the ELVN board for the past four years as President. He also served on the board of the Lakeview Citizens Council. He has owned an apartment building in the neighborhood since 1996. Heather Way-Kitzes (I) is the Manager, Government and Neighborhood Relations with the World Champion Chicago Cubs, a position she has held since 2015. Prior to her time with the Cubs, she served as the Executive Director of the Lakeview Chamber of Commerce. Living and working in Lakeview for nearly two decades has given her the opportunity to work with many community based organizations and serve on many local and regional boards. Her favorite thing about Lakeview is the people and their passion for their community; a passion she shares. A native Chicagoan, Heather studied journalism and art history at the University of Missouri-Columbia. She is married with two kids and a small poodle. Kit Welch (I) and her wife decided to make Lakeview East their permanent home in 2012 after having lived in numerous cities. By profession, Kit is a Real Estate Broker with Baird & Warner, specializing in residential and small commercial real estate sales throughout Chicagoland, but focuses her business primarily on the North side of the City, and the Lakeview/Wrigleyville area. In 2017, Kit and her wife bought their second property within the East Lakeview boundaries, a 2-flat building on the 3700 block of North Kenmore Ave. They have opened an Airbnb in the second floor unit of their new home, and are now landlords for the condo property they used to live in at the corner of Grace and Fremont. Kit has become an active member in the Lakeview East/LGBT community, as a member of the LGBT Chamber of Commerce, and serving on the Boards of The Legacy Project and the Grace Condos Association. Kit is also an avid SCUBA diver and volunteer at The Shedd Aquarium. 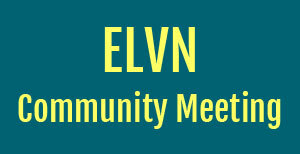 This entry was posted in ELVN News and tagged board elections on March 9, 2018 by elvn_updates.